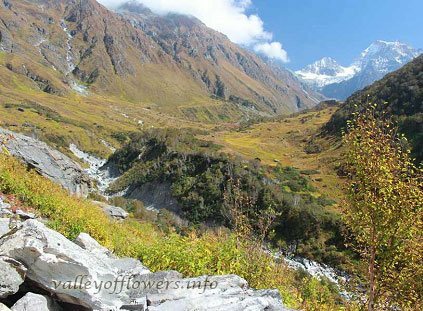 Valley of Flowers trek itinerary | Detailed trek itinerary of Valley of Flowers trek. “All about the beautiful journey”-Your journey begins from Haridwar and finally ends here. Mandakini, a slow paced river glides from Kedarnath. The relatively faster Alaknanda river traverses from Badrinath. They amalgamate together and is called as Alaknanada. Meeting Bhagirathi at Dev Prayag, its journey is completed. ” title=”Mandakini, a slow paced river glides from Kedarnath. The relatively faster Alaknanda river traverses from Badrinath. They amalgamate together and is called as Alaknanada. Meeting Bhagirathi at Dev Prayag, its journey is completed. The trek to Valley of Flowers begins at Haridwar, the holy city. You will be picked from one point in a convenient conveyance. We will drive towards our starting point which is Govindghat. It’s a full day ride alongside river Alaknanda. There may be prospects to see Rudrprayag and Devprayag along the way. It depends on the punctuality of the group and the feasibility of time. 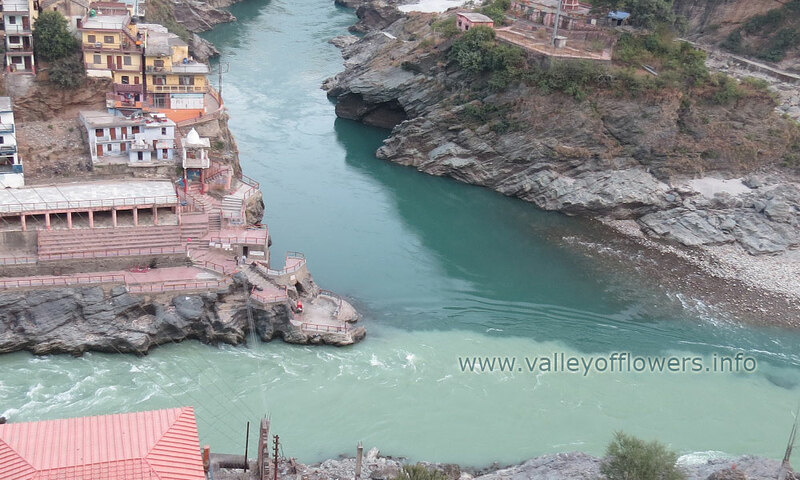 Alaknanda further flows down to DevPrayag and meets River Bhagirathi to form river Ganga. You may choose to take ponnies and porters. Even helicopter is available. But you cannot depend on Helicopter as flying of Helicopter depends upon weather conditions. It may or may not fly on a particular day. 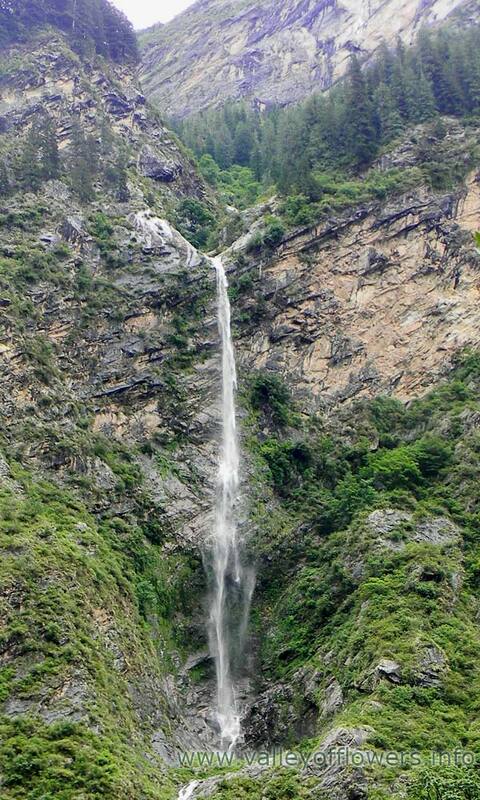 After a trek of 5-6 kms, you can have a glimpse of this astounding waterfall. For video, visit our Gallery page. This is 250 meters High waterfall. Please do not miss the following video of this waterfall. You love it for sure. Hathi Peak seen from Bhyandar village. Trek to Kagbhusandi Lake goes towards this peak. This day you will witness one of the most alluring places of the world. Its impeccably beautiful and pleasing environment will surely entice you. Rise early in the morning and have breakfast. You’re all set to trek towards Valley of Flowers at 7 am. A ticket is issued at the entrance which is valid for 3 days. The ticket costs Rs 150 for Indians and Rs 450 for non-Indians. So you are entering a dream land. No need of carrying water as the sparkling water is drinkable. No pollution and no urbane life. Pure bliss and beauty. Enter and the valley’s check point and you will witness the solace of nature. Your ears are blessed with sounds of chirping birds and rhythmic flowing water. There is no pollution and a life of natural beauty awaits here. 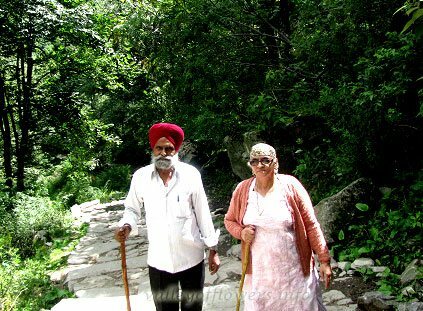 Early breakfast and an early start to Sri Hemkund sahib will begin your day. Leave by 7am and reach this pious Gurudwara. The high altitude lake is a treat for nature lovers. Hemkund Sahib Lake in June first week.Hemkund sahib is the highest gurudwara in the world. Amidst snow clad mountains and a beautiful lake alongside, this place is serene and spiritual. It remains beautiful throughout the year. Braham Kamal and Blue Poppy – They are a rare species of flowers. Brahamkamal has special significance in Hindu religion and is admired by people. The blue poppy is a distinct flower and attracts people especially the Japanese. The lake is reposing at an astounding altitude of 13500 ft above sea level. Fabulous scenes can be enjoyed along the way. This 6 km trek is quite steep but worth it. Charming scenic beauty along with sights of flowers like blue poppies, Vajardanti and brahmkamal is truly delightful. The lake is at an altitude of 13500 ft above sea level. Rise early and begin the trek at 6am. You will traverse towards Govindghat and reach there by lunch. After lunch, there will be road journey to Badrinath. It’s a beautiful journey with sights of waterfalls and rivers. The flowing Alaknanda is an amazing view. Wonderful sights all along the journey are delightful. Truly Gold! This moment was captured early morning behind the Badrinath Temple. Many such hill tops can be seen around. We will head towards village Mana. It’s pleasurable to see the starting point of River Saraswati at Mana. Visit the small locale and check-in hotel for relaxing. This is last day of the trip. After an early departure from Badrinath, you can have breakfast and lunch on the way to Haridwar. You will reach the destination by evening. This is where we take leave and the trip concludes with great memories. Zig zag road from Badrinath to Haridwar. It’s 20 km from Joshimath. You can also see River Alaknanda at the back. It’s tiring physically but mentally you will be on a high. The experience, the sights and the trip is very exciting for everyone. You might leave for home the same day or plan to take rest at Haridwar. Hopefully, this trek will be great and wonderful for you. Come join us to a journey splendid and tranquil. Away from urban hustles, it offers a life of serenity and peace in the lap of Mother Nature. This itinerary is suggestive in nature. Actual journey plan may differ slightly. Kindly ask for a detailed document from us. It is advisable to read all terms and conditions carefully before booking with us. Me and my friends have planned it around 10th August 2018. What is the weather condition at present? Is it all accessible and safe to travel considering the rains? Hi. We are planning for trek in August last . We have 4 days for this trip?. Can it be covered in 4 days or please let me know minimum number of days ? can we take 9 year old kid with us for Valley of Flowers. hey thanks for the above information , i am planning to visit Valley of Flowers in july end by road from delhi . we have a 4 days plan , can you please help me with a proper itinery, like what all we can explore ? I am planning to visit Valley of Flowers with friends on bikes. We are planning to leave very early in morning by 5 am from dehradun to Govind ghat. Is it possible to cover the trek from pulna to Ghangharia on the same day?? Or are there any hotels at pulna to stay overnight, so that can start trek to Valley of Flowers once again by early morning. Are there any conditions for getting entry permits to Valley of Flowers as i heard that permit is allowed only till 2pm. Is it possible to complete the trek in 5 days. Can you please share the itinerary over mail. We are planning to visit next month in the 15th Aug week. Also want to know, how difficult is the trek? We are four people planning to go for a trip to Valley of Flowers around 13 July. We have only four days for this trip. Is it possible to go on this trip in four days? if not then what is the minimum required number of days for this trip? Also can you please tell me what are the charges and the list of things that we need to carry with ourself. Am a solo traveller planning to visit the valley in the first week of June this year, would love some details in regard to intinerary and the kind of weather conditions one can expect. If i am a single traveller, can i join a group? Or are the groups all closed? Are you putting small groups together if they are booked for the same date? How is it to travel up in the himalaya during monsunsaison? I am a botanist, will there be a guide who knows the plants very well? Can you organise an anward journey to kedarnath as well? You can join our fixed departure tours. A detailed itinerary has been sent to you. Please check and revert. For your Kedarnath you can get down at Rudraprayag while coming back from the trip. The detailed general itinerary has been sent to you. Kindly have a look. As you are a big group, we can customize the trip for you. Will stay connected to you. We are four people planning to go for a trip to Valley of Flowers in July. The date we have come to conclusion is around July 8. Can you please tell me what are the charges and anything else that we should bear in mind before starting our journey. And in case we decide to fix the plan how should we go about paying you and about any other formalities. The details against your inquiry have been sent to you via mail. Kindly have a look on the same and revert. Plz send me all details. We had booked with you in 2013 the VoF trek but then the flash flood had happened and we had to cancel. We are now planning for this year. Pls advise the dates for this year. We are travelling with Kids. Can we take the trek for 1 day from Ghangaria? and get to Ghangaria by road? 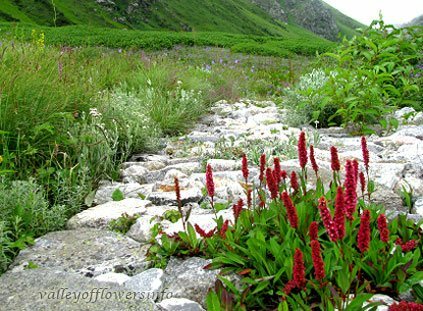 Is May good time to visit Valley of Flowers? 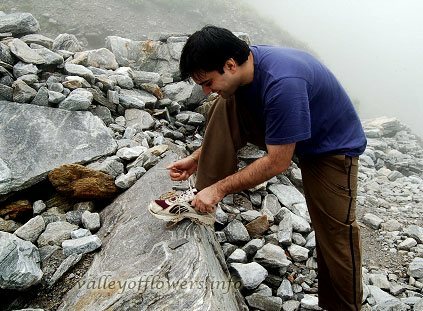 I would like to inform you that Valley of Flowers gets open from 1st June till the initial days of October. You can come anytime in between. Govindghat to Ghangaria is trekking distance which was 14km earlier and being reduced to 10 km now. (pony, porter, chopper available). The detailed itinerary from our side has been sent top you. Kindly check. 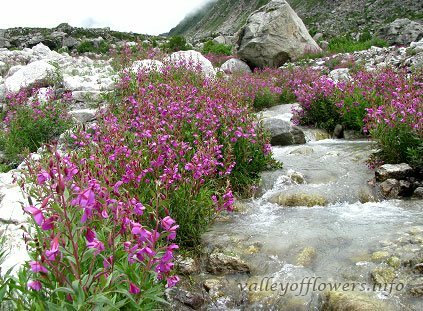 I am planning to visit Valley of Flowers in 2017. 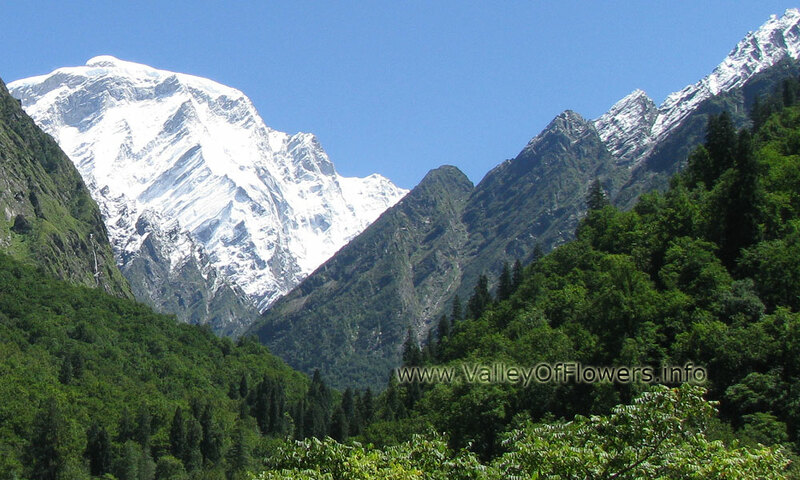 Hi Mr.Sangwan, Looking forward eagerly to meet you as I have booked myself for the" Valley of flower" trek with you starting on 1st August 2015. I have few queries & here they go…. 1. When should I reach Haridwar to catch up with you & how do I contact your team ? 2. From the above itinerary it's not clear to me that how many days we shall visit the "Valley Of Flower". Is it one day or two days I was given an idea that we shall visit the "Valley of Flowers" for two consecutive days. As published in your website http://bluepoppyholidays.com/…. (" Most of the tour operators and individual going to the valley have only one day for the valley in their itinerary. Is one day sufficient to see the valley entirely or you need more days? We take you to the valley for two days. Check out the reasons why you need two days for the valley with pictures of what people do on first day?"). Please clear my confusion. 3. When are we coming back to Haridwar ? I would like to know the exact date to schedule my return flight ticket to Kolkata. Offcourse I undrestand that any change of schedule due to bad climate or any other factor is beyond your control. 1. We will send you a hotel voucher regarding Haridwar Hotel. 2. You’ll be going to Valley of Flowers for two days. 3. You’ll be coming back to Haridwar on 7th August, 2015 around 6 or 7 pm. I’m really looking forward to visit this place ASAP. Can u give detailed information on expenditure, no. Of days required,facilities provided in the package,etc.so it becomes a bit easier for me to proceed further. Has the Valley of Flowers opened this year? What is the cost of hiring a porter? 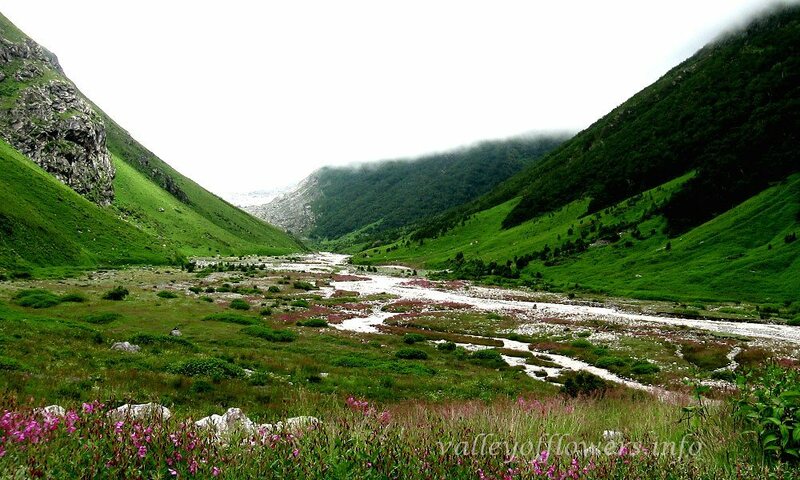 To read about the opening of Valley of Flowers kindly follow http://bluepoppyholidays.com/valley-of-flowers-open-in-2014-itself-valley-of-flowers-is-open-now/ and for cost of a porter follow this http://www.valleyofflowers.info/valley-of-flowers-trek/ . can you mail me the cost of the trip and other detals. Thanks for contacting, a detailed itinerary has been sent to you. We are 4 members planning to come Valley of Flowers in Oct 1st week 2nd Oct to 7th Oct. Could you please send me the itinerary. Also provide me the details of accommodation and other travel information. 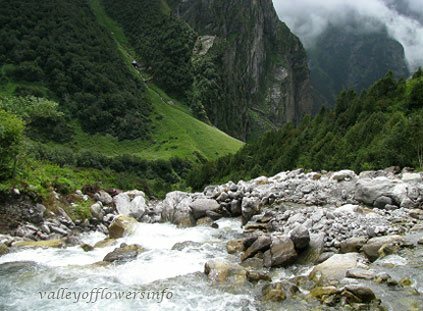 Valley of Flowers closes on 4th OCt.
Valley was not open during this time but we organized the trips to Hemkund Sahib and to the valley up to the bridge, there was absolutely no problem from Haridwar to Govindghat. i with my wife want to visit Valley of Flowers for maximum of 4 days . I heard that this time also entry to Valley of Flowers National Park is cancelled. Like to have a clarification in this regard. We are planning to visit Valley of Flowers in August. Hi, We plan to visit Valley of Flowers in mid august. Could you please send across a detailed itinerary for your trip starting 10th Aug. Also, is the bridge to Valley of Flowers constructed now? Hi, We are a group of 3-4 guys and planning to visit only Valley of Flowers. We are planning in the 2nd week of july from delhi and can take a max of 4 days. Please guide us how to plan the whole trip in the available time. Also please let me know if the valley is fully accessible this year and when the flowers are expected to be seen in full bloom. Hi, We are a group of 3-4 guys and planning to visit only Valley of Flowers. We are planning in the 2nd week of july from delhi and can take a max of 4 days. Please guide us how to plan the whole trip in the available time. 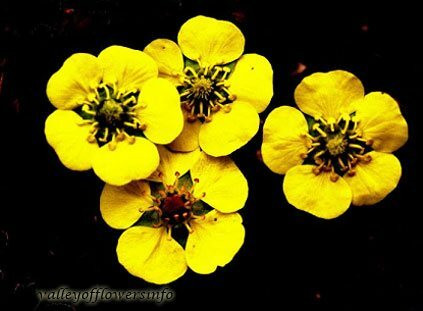 We are 5 people group planning to travel for a week to Valley of Flowers starting 26th July. Please suggest a plan and tariff. The detailed itinerary has been sent to you, and discussed over phone. Hi, I am planning to go with my family in Aug 3rd week for 6-7 days…I saw the itenary..which looks pretty good..but question is ,is it okay to take my parents (in mid 60’s) for such a trek and if yes, what would be best way? Pony? Also do you know how much they may charge per head for the whole day? Hello mam, it’ll be totally Ok but kindly consult a doctor before going. For ponies charges will be 800 one way. Can you plan an itinerary for 3 – 4 days in july end/ august? We are a group of 4-5 people, planning to visit in the first week of July for 3 days(weekend). We will be coming from Delhi. Can you please send us some customized info for us. I am sorry but you can not complete this tour in 3 days. We are a group of 4-5 people, planning to visit in the first week of June for 3 days(weekend). We will be coming from Delhi. Can you please send us some info customized for us. Not possible this June sir. I plan to drive to govindghat with my friends in my own car. As I can understand we will have to leave the car for 3-4days so is there a safe place/ paid parking zone to leave the car. It is not recommended to take your own vehicle for this trip. You can ind safe parking space at Govindghat. I m planning to go in the month of july first week or second week. please send me the detail cost for 2 people. The site is very informative. Thanks for the details provided in the site. 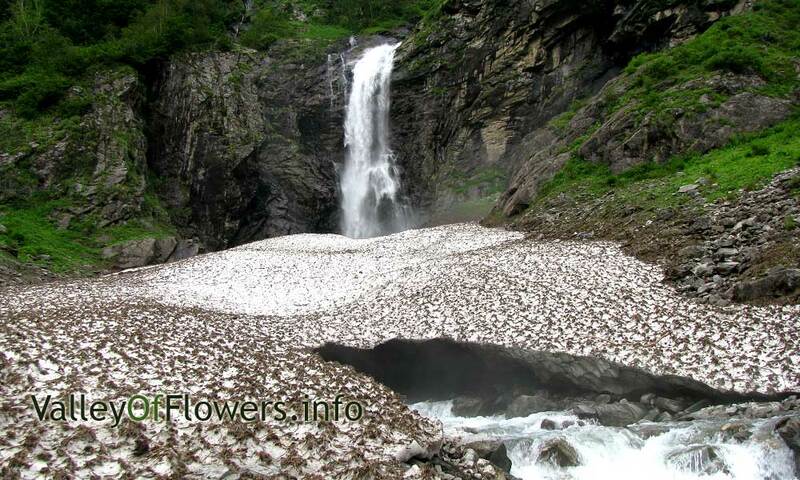 We are a group of 4-5 planning to visit Valley Of Flowers in 2nd week of August 2014. We would be traveling from Mumbai with tentative travel dates 9th Aug – 17th Aug. Can you please let us know if there is any tour planned around these dates? We are a couple planning to visit this awesome place on earth by the 1st week of August ’14. I could see that there’s one fixed departure scheduled for 3rd – 9th August ’14 & would like to be a part of the group. Please help me understnd the associated cost ex Haridwar for the same for 2 of us. Thanks. A detailed itinerary has been sent to you. You would have filled in your details on contact us form and would got the mail instantly. Please send a mail to me with your phone number or call me so that the package may be discussed. I haven’t received any email from you yet! If you can kindly drop an email with all the necessary details to soumendudas010@hotmail.com, would be of help. Mail sent from my personal ID, sorry for the inconvenience. We are a couple and we are interseted to visit Valley of Flowers . I have not trekked for more than half an hour so far . So, do you suggest this trip for me ? Is there some other means of reaching vallet of flowers ?say by jeep ? Could you give more details in this regard ? Also, if we trek, will the path be very steep ? 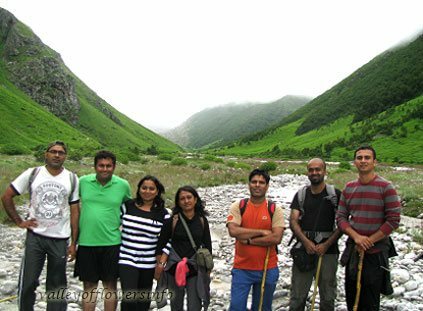 Please read my page How difficult is Valley of Flowers trek you will get all the answers. Please contact me on my phone numbers or send your phone number so that we can discuss in detail. Sorry forgot to mention. We are a couple planning to travel in the first week of August. Thank you for such a wonderful and detailed website. I tried signing up for the itinerary but didn’t receive it. Can you send it to me on my email? Thanks! Pl e mail me detail plan for Valley of Flowers. Planning to visit in this year. I talked to you and answered this question. You can do it minimum of five days and can be done in four days if you are very disciplined and ready to do more hard work. I have sent you a detailed itinerary and other details as per your requirement. Please check your mail. Its been a pleasure browsing through your website. 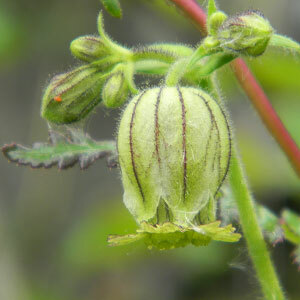 This has been the best info site I have come across for “Valley of Flowers”. Thanks alot. I have been planning on a trip to the following destinations in the month of July (25th – 1st Aug). We are a group of 12 (Family – Age Range: 20-58yrs). Would really be grateful if you could provide a good package for us and also total cost estimates. We will reach Haridwar on our own and would like to take professional help from here. Its really wonderful to go through your blog. 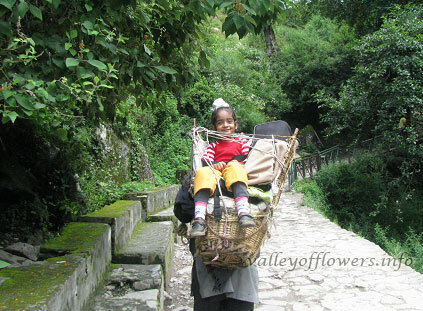 We, a family of 4 adults would like to visit Valley of Flowers in the second week of july. Please send us the itenaries of the plans. Would like to dedicate 2 days for Valley of Flowers and one day to hemkund. Its really wonderful to read through your blog. well informed. we, family of 4 people from Kerala, would like to visit the Valley of Flowers in the month of july, preferably in the second week, please send me the itenaries for the plans. would like to have 2-3 days at ghanghria visiting both hemkund and Valley of Flowers. We seriously considering a trip/trek to Valley of Flowers in early June as a family of adults. We are particular about dates and will be starting from Delhi. It is possible to have this trip start on June 2 and be back to Delhi by June 7 or 8th? If possible, please suggest us the itinerary and associated costs. Yes it is very much possible but I think June first week would not be the best time to visit the valley. 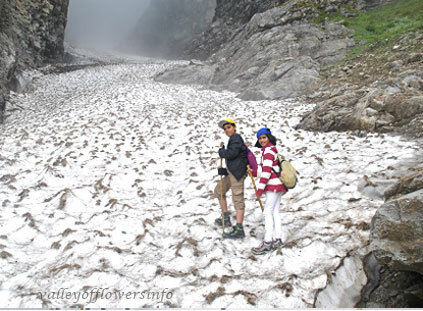 You can visit our Best Time to Visit Valley of Flowers page for more info. You can call me for more information. My phone numbers are given on every page of the website. Hi- We a group of around 12 ppl are planning to visit Valley of Flowers is mid og Aug. Request if you can send the itineary with cost & we intend to cover only Valley of Flowers. Is it possible to cover in 3 daYS. We are coming from Delhi. Prompt response is appreciated. Only Valley of Flowers also needs at least 5 days from Haridwar. I have sent you a different mail from my personal mail ID. A detailed itinerary has been sent to you on your mail. All the best for your trip. We want to go in the month of may.and want know the expenses for two people.and the detail information.plz try to send it. I am sorry to say that Valley of Flowers opens on 1st June every year and you may not be allowed to go to the valley before that. Also this is not the best time to visit valley. Visit our Best Time to Visit Valley of Flowers page for more information and plan accordingly. You may go in the month of June but not the best time to visit. For information you can call me at +91 9991142759 any time. There are no fixed departures in 1st week of June. But I am giving a customized trip to one of my client during this time. If you want you can call me and we can discuss about the trip. How many people do you take on your trips? What accommodation is provided ? I would probably fly from Dehli Is Dehraduh the best place to fly to? Thanks for contacting us for Valley of Flowers trip. A detailed mail has been sent to you. Please refer to that. In case you have any other inquiry you can again contact me.